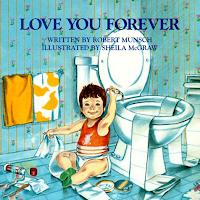 Love You Forever has been one of my favorite books since I was little. Who can read it without tearing up? I can't! 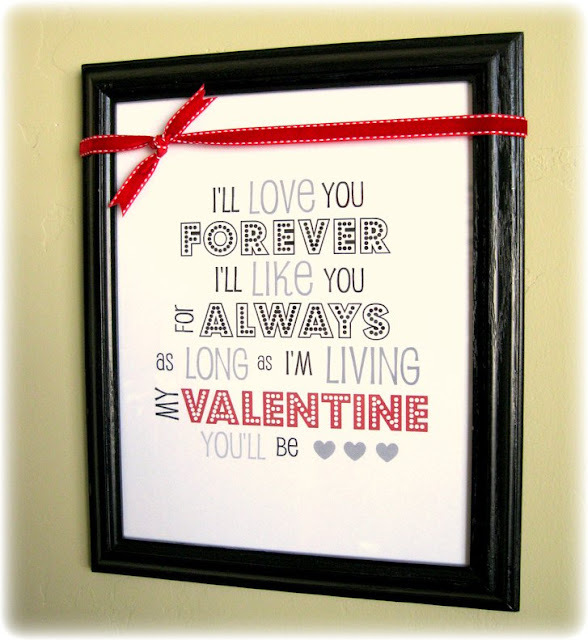 I decided to make a VALENTINE version to hang on the wall. Click on the image above and save it to your desktop. Open it in Paint (or any other editing program) and adjust the printing page setup so it is centered. thank you, so cute, one of my all time favorite books. Thank you for sharing. I just printed off 3 copies and framed them for my sisters. We all LOVE this book and it will make the perfect Valentine gift for them. Thank you for this darling printable. too sweet! 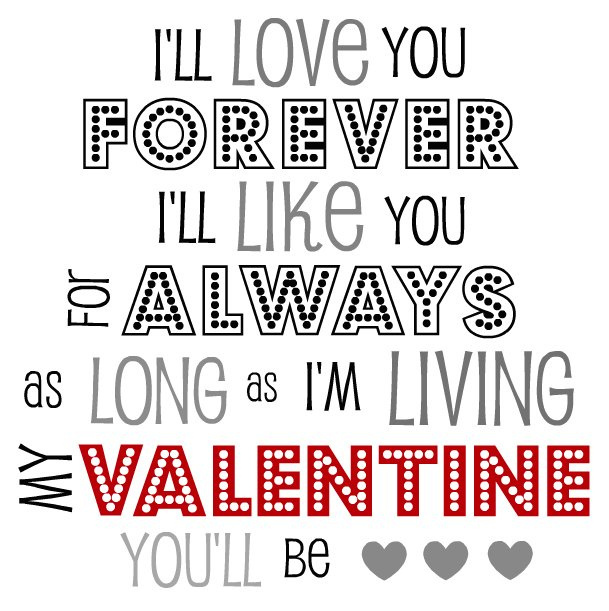 So sweet of you to share this Valentine printable! I featured your printable on my blog &&&& would LOVE for you to check it out! This is such a sweet idea! I LOOOOOOOVE this book and I used these lines in dedicating my thesis to my parents! My son loves this book so much that I have it memorized! I can recite it to him if we're in the car and he needs a nap. I LOVE this book.... my mom read it to me when I moved out of the house to go to college. I am going to print this out to her and mail it for her Valentine's card this year. I know she will treasure it always. Thank you from the bottom of my heart for making this!! SUCH a darling printable! Thank you! I finally got around to printing this and creating my frame...AFTER Valentine's Day! Oh well, I'll pack it up for next year! I also just blogged about it and gave you credit! Love love this!! Cant wait to use it! I have always loved this book. Thank you so much for sharing this sweet poster. I'm going to be giving it to my mom. She'll love it!